Good Lesson to the young Boy! If you’ve been in Malaysia long enough, you’ll know that vandalism on public facilities is not a rare sight. Which makes us wonder, what good will them vandals get from destroying and damaging public property? 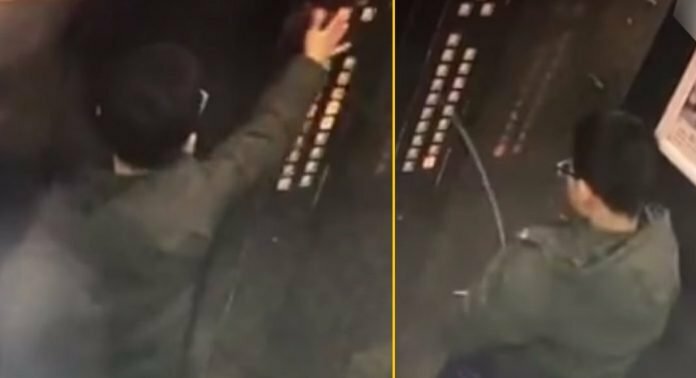 Recently, a boy who took the elevator alone saw the chance to perform his monkey business, by intentionally peeing on the elevator buttons. Yes, he actually did that. 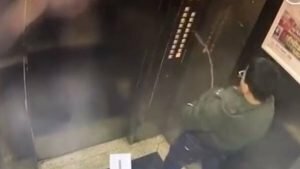 Once he had completed his business, the boy zipped back his pants and prepared to make his way out as the lift had reached his floor. 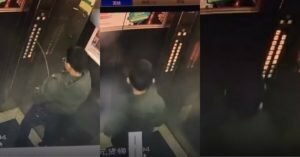 However, just as the elevator doors opened a small gap, it immediately shut close right after; as if it wanted to teach the boy a lesson. The set of buttons then started flickering furiously in a disorderly manner. Sensing something was amiss, the boy jumped back in fear and rammed the alarm bell to seek help. The lights in the elevator also began to flicker uncontrollably, which eventually burnt out, leaving the boy in absolute darkness. Sounds like a scene from a horror movie. CCTV footage released by the management office of the residential tower where he lives shows him scouting around before beginning to relieve himself on the buttons next to the lift door. In a matter of seconds, the electrical system starts to fail and the buttons on the panel begin to flash. The boy is then left panicking as the lights flicker and go out, leaving him stranded inside the darkened lift car. According to reports, the boy’s urine is believed to have entered the control panel square beneath the buttons, causing it to short-circuit and cut out entirely. The mischievous child was saved by emergency services a few minutes later, but he refused to admit to urinating on the button panel. Thankfully, the boy was safely rescued out of the lift unhurt by the search and rescue personnel later on. 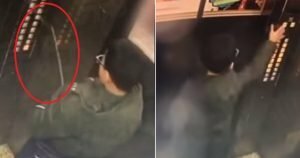 After watching the video recording from the closed-circuit television (CCTV), they realised it was the boy’s own doing that led him to his terrifying experience. Check out the whole incident below. Well, Looks like karma struck back instantly. Today! National Siblings Day 2019 Celebrates with your brothers and sisters: Know more about Siblings Day?